If blogging platforms were stories, Tumblr would weave the most beautiful tale of all. Let’s prove this now. Do something for me, dear reader. Call up the first Tumblr user you can think of and ask them the following question – ‘Why do you use Tumblr as opposed to any other platform?’ Go ahead. Call up someone. Now that we have established that it’s one of the more interesting platforms to blog on, let us explore it. 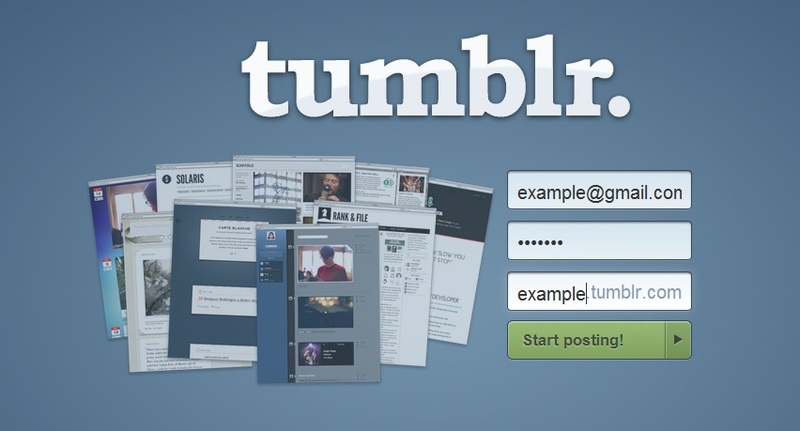 Tumblr is a blogging platform that was created by David Karp and Marco Arment in 2007. Unlike traditional blogging services you can share quotes, links, pictures, videos at the click of a button. 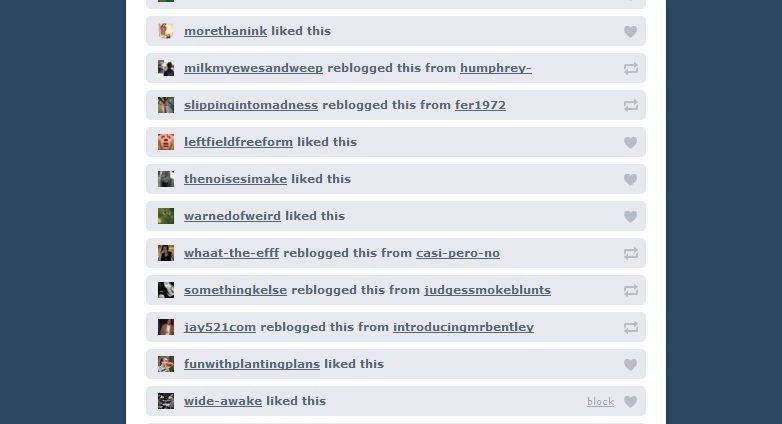 Tumblr’s most popular feature is the ‘reblog’ button. It is so wow-worthy that most Tumblr users are known to respond with ‘Why didn’t people think of this before’. And honestly, it is what makes the platform special. There is a certain ease with which one can share discoveries on the web. It makes the platform seem magical. The phenomenon of Tumbling is a great testimony to the social web. Since I love tracking patterns online, I find that as long as something is easy to share, it’s easy for the content to go viral. Think about it. The last time you updated something and saw that it was retweeted, repinned or reblogged multiple times, it gave you a high. This adrenaline has been tapped by Tumblr in a unique way. Combine stickyness of a website with great design and content gets shared. What users call ‘easy to setup’ is just great web design with minimum number of hitches in place. So what does this ’easy to setup’ mean? Do you like filling forms? Or surveys? Or website sign-up routines that take a lot of time? If it takes you more than three steps, it’s probably failing the ‘Rule of 3’ principle. Web design brilliance which can be customized to our taste. Tumblr serves as a great platform for designers to share their work. So when you, upload/share great content on a website for other users to follow/like/reblog, there is a designer who is getting featured. You win, designer wins, Tumblr wins. With this really simple bookmarklet, you can add anything on the web to your blog. Just add it to your browser and you are good to go. Use the ‘New Post’ feature and choose the ‘Private’ option before you publish the post. Once you create the post, it will appear in your dashboard. After you click on ‘share’ you will be prompted with a link which can be shared with friends who can read your post. Tumblr makes the discovery of new blogs very easy. In the earlier days we had to wait for a writer’s blogroll or click a hyperlink in a blogpost to discover something new. However, with ‘reblog’ it becomes very easy to find new content to follow. Why haven’t Indian brands adopted Tumblr? Once you login to Tumblr, there is no way that you can stop yourself from spending a few hours on the site. Then why is it that Indian brands haven’t built a community around it? Tumblr’s image-heavy content structure and ease of use should have got Indian fashionistas and fashion bloggers to adopt Tumblr right? Wrong. What are the problems with Tumblr? 1. So if you are blogging about Mumbai or India there will be very few takers for your posts. When you don’t get reblogged or liked etc. the urge to update dies out very quickly. 2. Tumblr undergoes downtime quite often. There have been times when it’s almost impossible to login to the platform. 3. Serious bloggers use Tumblr because of the site’s usability. However, the kind of content that gets reblogged has little to do with one’s own personal capabilities. If you start from scratch you will have to reblog and like a lot of content before you gain a following. Pinterest — that new kid on the block– is designed to look and feel like a notice board with classifications. So on Tumblr you can create a layout of a magazine. But on Pinterest you will notice that the entire layout is classification friendly. Its equivalent to mutiple Tumblrs in one place. When writers started blogging, they used to tag or categorize different posts. So avid bloggers created blogs with different types of content. For Pinterest the content is in the form of boards. In the case of Tumblr, the content is sorted in the form of tags. Both the platforms occupy their own space in terms of usability and design. Once the captive audience is in place, Indian users and brands can hop onto this platform and explore new possibilities.